Hi everyone and thanks for visiting me at my website. This is where you will find out more about my children’s music ministry. 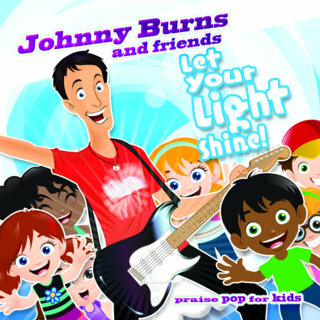 I am very excited to announce the release of my new CD - Let Your Light Shine! Let Your Light Shine contains 15 news songs, with each being based on one of my favourite bible passages. I am especially excited to have a range of guest vocalists on this CD, including the Colin Buchanan, Rob Smith, Dave Hanbury from Revive, Alanna Rodgers from Garage Hymnal and the wonderful Host sisters. For more info, please check it out at: www.emumusic.com. Please check out the background page, which tells you some more about my journey over the past years of playing music to kids. The products page introduces you to my CDs and DVD. If you are a children’s worker or muso in a church, check out the Information for Churches page. I am pleased to offer a regular free download of some of my songs - including a copy of the sheet music. Make sure you periodically check the Free Download page. If you have a booking inquiry, or further questions, you can email me via the Contact page.